INDUSTRY.co.id - Jakarta - PT Bank CIMB Niaga Tbk (CIMB Niaga) through the #KejarMimpi movement supporting talented young artist and singer Maudy Ayunda launched an album titled "Oxygen" which took place at The ICE Palace Concert Hall, Lotte Shopping Avenue, Jakarta, Thursday (15 / 2/2018). CIMB Niaga appreciates the spirit of Maudy Ayunda pursuing his dream to create his own production album inspired by the #KejarMimpi movement. Through the launch of this album, CIMB Niaga as the initiator of the #KejarMimpi movement with Maudy Ayunda as co-founder of the #KejarMimpi movement, invites the young generation of Indonesia to be a positive person and always eager to realize his dream to build a better Indonesia. Director of Compliance, Corporate Secretary and Legal of CIMB Niaga Fransiska Oei, said that CIMB Niaga sees Maudy Ayunda as a talented young man with positive energy. "Therefore, we give support to Maudy Ayunda to realize his dream of making his own production album which today launched the Oxygen. We hope the figure of Maudy Ayunda can inspire other young Indonesian generation to follow its spirit and live with the breath #KejarMimpi, "he said. Fransiska explains, Movement # Dreams Dream and gait Maudy Ayunda in pursuit of his dreams reflects the spirit of brand promise CIMB Niaga "Forward". Through "Forward", CIMB Niaga wishes to focus on the role of always supporting customers growing in various aspects and in every level of life and continuing to advance in achieving the desire and dream. Maudy Ayunda's involvement in the #KejarMimpi movement started from writing a song about this movement which was later titled #KejarMimpi. The song has been launched in April 2017. Since then, Maudy Ayunda with CIMB Niaga spreading spirit #KejarMimpi to the people of Indonesia. 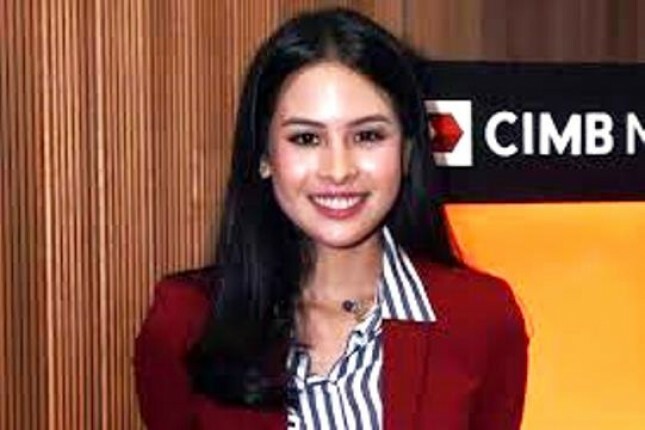 "Helping to realize the dreams of Indonesians, including Maudy Ayunda, is part of CIMB Niaga's commitment. Through the #KejarMimpi movement we have also organized Leaders Camp, visited schools to share knowledge, provided scholarship programs at home and abroad, a million books program, and AyoMenabung dan Berbagi program, "said Fransiska.